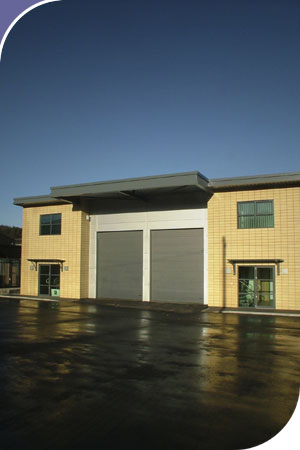 The project consists of two industrial units and office accommodation, one for owner occupation and the other for let. The office accommodation is split into two floors and comprises of a reception area and store rooms on the ground floor with access to a warehouse, and a meeting room, office space and toilets to the first floor. The client, being a construction company, wanted a showpiece building to market the business, so the materials and finishes were to a very high standard.